Showing off some of its 20,000 seeds. Control measures in Vernon appear to be Harold pulling it out when he can. 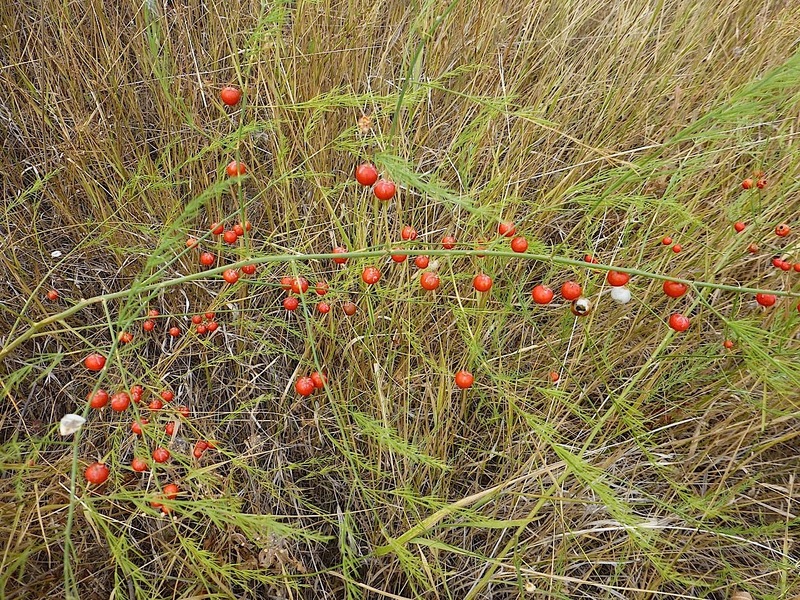 This is one of the few plants that can take on cheatgrass, which is an invasive plant that cheats most native plants out of their spring water and keeps it all to itself. 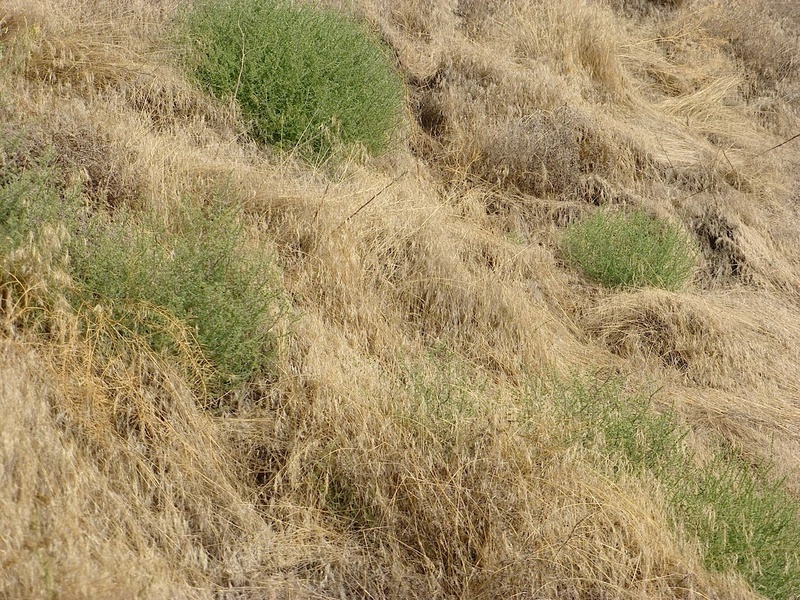 In the lower grasslands of the Okanagan, it has replaced the blue algal crust that once was the living diaphragm between the soil and the atmosphere and in which the seeds of native plants could effectively lodge and be nourished with water. Go High, go Fast, Lose no Water on the Way, Prick Anyone Who Comes Close, and Tumble with the Wind, Yay! An introduced species, but much favoured of deer, humans and birds, and otherwise harmless. This stuff is everywhere that there is wind. So, if verticality is a secret method of reclaiming land from cheatgrass in the weed lands, and wild lettuce grows everywhere, why not this? 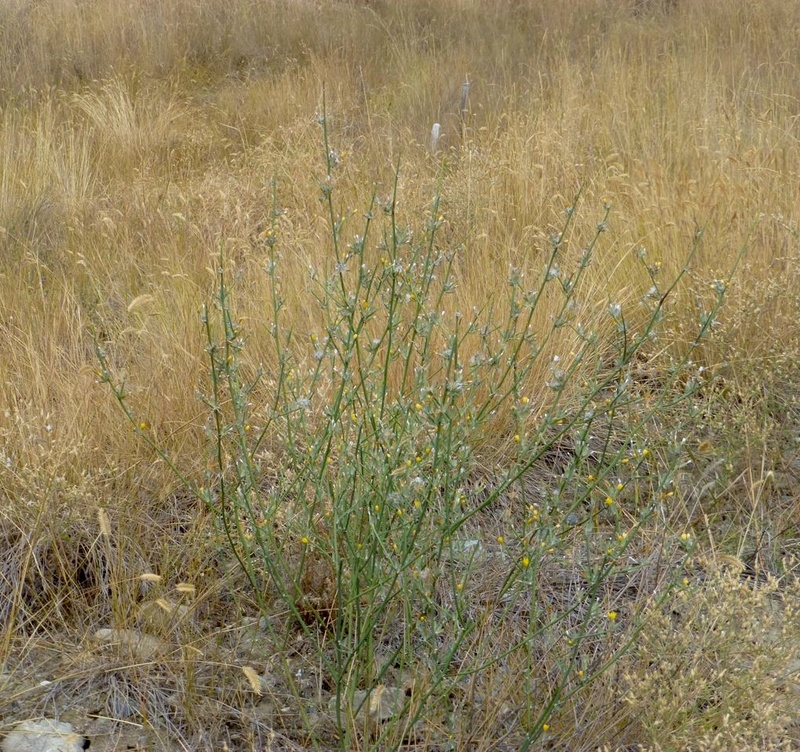 In a choice between rush skeletonweed and salad, or between cheatgrass and salad, or between latex-bitter wild lettuce and salad, I’ll take salad, thanks. Dressing on the side. Who said lettuce has to grow in rows? 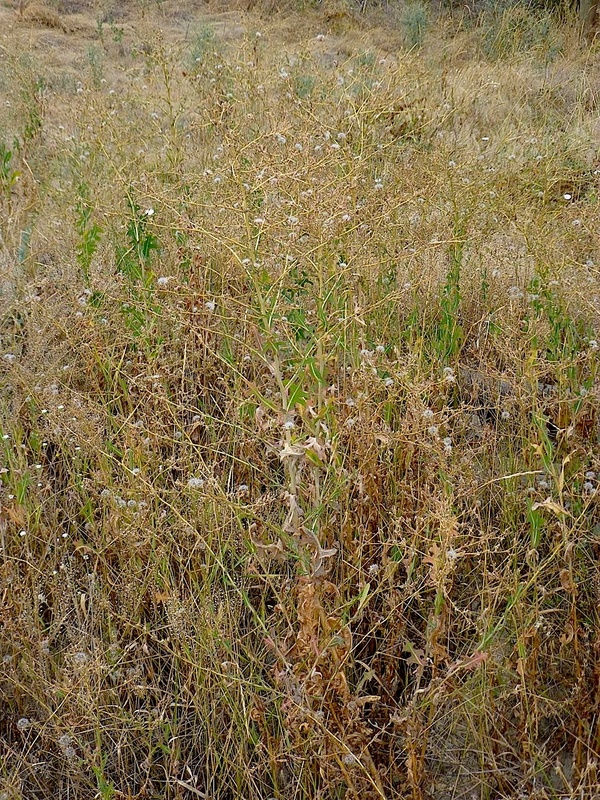 If it self-seeds in wastelands and weedlands everywhere, and salad is there for the picking wherever you traipse in the spring, and it displaces the nasties in the process, how is that worse than trucking it with diesel fuel fromJohn Steinbeck Country? 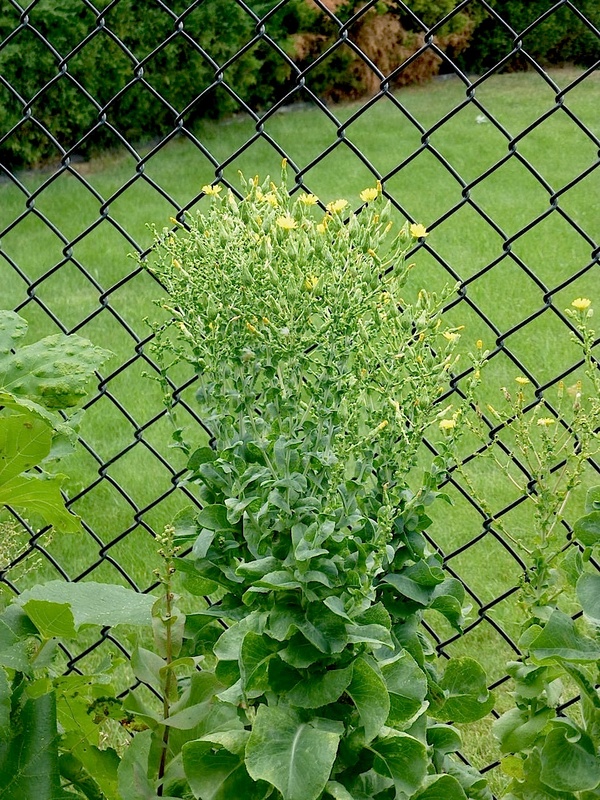 If we’re going to have weeds, let’s have ones that we can eat in the wet season.